In late October, a regional court in Jalal-Abad, southern Kyrgyzstan, convicted and sentenced in absentia to hefty prison terms two ethnic Uzbek media owners, Dzhavlon Mirzakhodzhayev of Mezon TV and Khalil Khudaiberdiyev of Osh TV. Both men were tried in connection to the ethnic conflict that ravaged southern Kyrgyzstan in June 2010. Authorities accused both media owners of stirring up the violence and participating in the mass killings--charges that CPJ research established to be politicized and unfounded. CPJ reached out to Khudaiberdiyev, who was sentenced to 20 years in jail, to comment on the prosecution and the state of press freedom in Kyrgyzstan. Mirzakhodzhayev's account was published in mid-November (available here). CPJ: In late October, a court in Jalal-Abad issued verdicts against Uzbek minority leaders, including you. How did you learn about the criminal case against you? What are the charges based on, and what evidence was used to prove your guilt? Khudaiberdiyev: I learned of the case against me from reports in the press, in April 2011, when I was already outside of Kyrgyzstan. All I can say in regards to our indictment, regarding the probe, trial, and the verdict, is that the charges that were brought against Dzhavlon Mirzakhodzhayev and I were based on speculations and there is no evidence to prove them. Both the court verdict and the case materials claim that in May 2010 Mirzakhodzhayev and I were physically present at the protest rallies in the city of Jalal-Abad and the village of Ala-Buka in Jalal-Abad region; that we had organized an armed unit at the local university; that we joined that unit and killed people. This is absurd. How could we--living and working in media companies in Osh, and being 100 kilometers away from Jalal-Abad and 400 kilometers away from Ala-Buka--create any armed unit, personally organize protest rallies, and participate in the killings? We physically could not do any of that, and I am stunned that the court believed in all this nonsense. And to make it impossible for Mirzakhodzhayev and I to dispute these allegations in court, authorities threatened us and our families, and forced us to flee Kyrgyzstan. If you ask, I don't consider any trial fair when neither the defendants nor their representatives are present in the courtroom. Using the moment, I'd like to briefly mention developments leading to the June 2010 conflict, and clarify the role media companies played at the time. 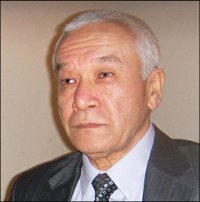 During Kurmanbek Bakiyev's presidency, there was an increase in nationalism in Kyrgyz society, and this intensified with the former president's ousting in April 2010. Among the most vivid examples were the spring 2010 pogroms against ethnic Kurds and Turks who live in the villages outside the capital Bishkek. It was during this time that rumors of interethnic strife started to disseminate in southern Kyrgyzstan where Bakiyev initially fled after the coup. Osh TV journalists went to investigate those reports, and found that local small-scale conflicts happening at the time were about access to power, not ethnicity of the residents. But the post-coup tensions continued to stir rumors of ethnic violence. Realizing the role and influence news media had, we, the journalists, tried to defuse those rumors by calling the developments by their real names. And when we learned of a May 2010 protest rally in Jalal-Abad, led by Kadyrzhan Batyrov, an informal leader of the ethnic Uzbek community, and Bektur Asanov, regional governor and ethnic Kyrgyz, we immediately decided to broadcast it. We understood that cohosting of the rally by the leaders of two ethnic groups was good material for neutralizing those rumors, and we aired it. We continued our broadcasts--five news reports a day--until June 11, 2010, the day the conflict started, and the day when the Osh mayor, Melis Myrzakmatov, ordered us to cease broadcasting. A few weeks later, using threats to my life, Myrzakmatov forced me to sell 51 percent of Osh TV shares to his relative. Intimidated by thugs and Kyrgyz security service agents, I was forced to flee Kyrgyzstan soon after. CPJ: Could you or your representatives deliver your opinion on the charges to the investigators and the court? Did you hear back from them? Do you plan to appeal the verdict? Do you believe justice will be served in your case? Khudaiberdiyev: I was unable to hire a lawyer due to threats of death and physical assault to both legal defenders and their clients in the trials of ethnic Uzbeks. Local lawyers simply refuse to represent defendants charged in connection to the last year's conflict. This prevented me from delivering my opinion on the case to the investigators and the court. As for the appeal - I already filed one to the Jalal-Abad Regional Court. But I have no hopes for the charges to be dropped because in its June 16, 2011 resolution--issued well before the verdict--the Kyrgyz parliament named me and other co-defendants in the case responsible for organizing and executing the tragic events that took place in May-June 2010 in Osh and Jalal-Abad. In other words, the parliament decided to act as a supreme judge, and showed the court what to do by "appointing" us as the guilty ones. Given that by constitution Kyrgyzstan is a parliamentary republic, I hold no hopes for justice. CPJ: What is the state of the Uzbek-language media in Kyrgyzstan? Are news reports in Uzbek available in the south of Kyrgyzstan, in the areas dominated by the Uzbek minority? Khudaiberdiyev: To my knowledge there are two or three newspapers in Osh that publish Uzbek-language inserts, but I have not heard anything about Uzbek-language newspapers. I believe there is not any left. Many Uzbek editors, who used to work for such newspapers as Akhborot, were forced to flee Kyrgyzstan facing threats to their lives, to the lives of their relatives. Other Uzbek-language newspapers, such as Diydor in Jalal-Abad, were shut down facing criminal prosecution from the authorities. But what I am sure about is that there are not any Uzbek-language broadcasters left in Kyrgyzstan. Prior to the June 2010 conflict, programming in the Uzbek language was aired by such broadcasters as Osh TV, Mezon TV, DDD, and DTV. Out of the four broadcasters only Osh TV is still functioning in southern Kyrgyzstan, but it stopped producing programming in the Uzbek language altogether. I think there is no press freedom in Kyrgyzstan, and multiple cases of intimidation, threats, and physical assaults against journalists are testimony to this. These cases include the beating of journalist Elmira Toktogulova in Bishkek, physical assault against reporters from the television channel NTS in Osh, and parliament's pressure on private broadcaster Pyatyi Kanal (The Fifth Channel). All these crimes, these incidents of pressure on the media remain unsolved and unpunished, and this means there are serious threats to independent journalism in Kyrgyzstan. Legal nihilism, spread of nationalism, and a skewed judicial system cannot create conditions for independent functioning of the media. Freedom of the Kyrgyz-language press and a total absence of Uzbek-language broadcasts in the country with up to one million ethnic Uzbek residents - is that freedom of the press? Absolutely not. Prosecution and declaring in absentia of bloodcurdling sentences against two founders of private broadcasters Osh TV and Mezon TV - is this freedom of the press? Absolutely not. In essence, we were prosecuted in retaliation for our professional duty--for bringing information to the people, for exercising our freedom of speech. CPJ: Today, a newly elected president, Almazbek Atambayev, assumed office in Kyrgyzstan. Would you like to appeal to him? What do you think needs to be done to improve press freedom in Kyrgyzstan? Khudaiberdiyev: I think most of Kyrgyzstan's citizens, including ethnic minorities, voted for Atambayev with a hope for a better life, with a hope for justice and peace. We all hope for improvements in interethnic relations, hope that authorities will uproot injustice. We also hope that during Atambayev's six-year term there will be changes in press freedom conditions, that there will be improvements in living and working conditions of media workers. And certainly we will appeal to Atambayev in a letter.